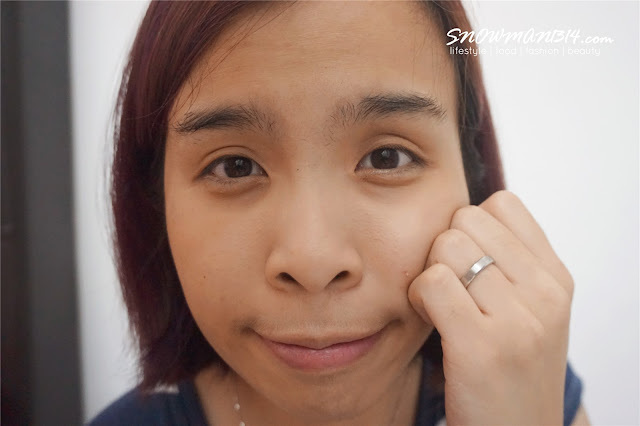 Hello, today will blog about a recent makeup remover I've been using. I believe you guys have heard of makeup remover oil, makeup remover wipes, makeup remover lotion. Today product is a remover lotion but is also an upgraded version of makeup remover lotion. Not only it helps remove makeup, but also helps protect and moisture our skin. 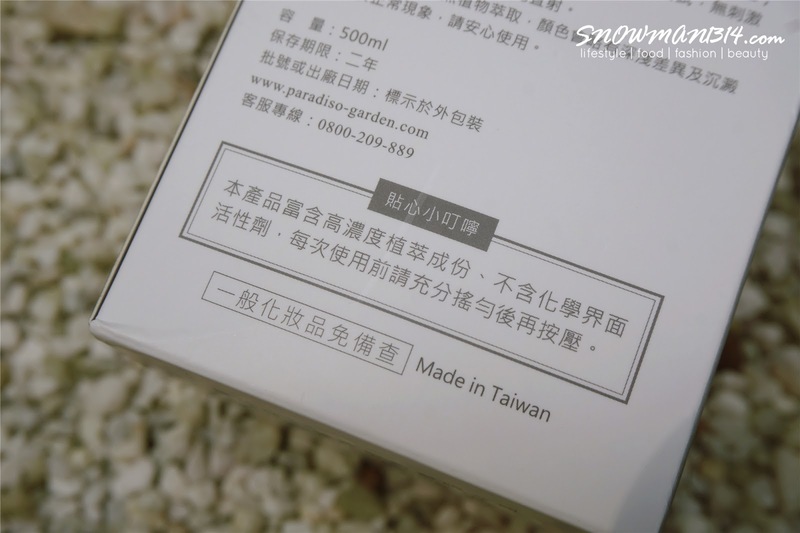 This product is available in Taiwan and receives a lot of compliment and reviews from customers and even model too. Let's read on to see the products benefit and function. What is a makeup remover serum? Makeup remover serum contains organic plants extract and formula with plant essence that are always used in skin care products. 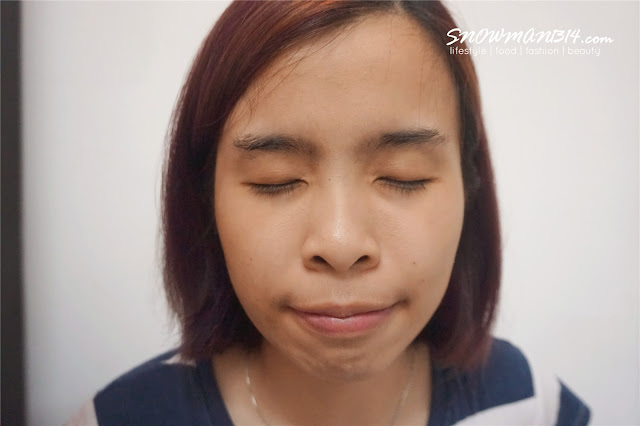 The result of using makeup remover serum is they does not block our pores, and they do not contain any chemical surfactants. Also, it does not only removes makeup but also can act as a skin care products on your face. 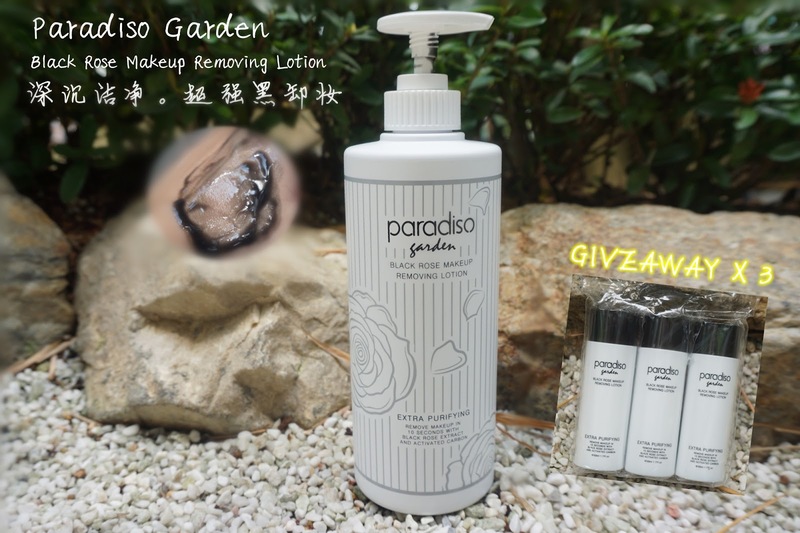 Paradiso Garden Black Rose Makeup Removing Lotion is created with rich organic plants oil and also other parts of plants nutrients. It claims to not sticky, does not block pores, no other artificial ingredients and able to deep cleanse all the stubborn makeup stains on our face. 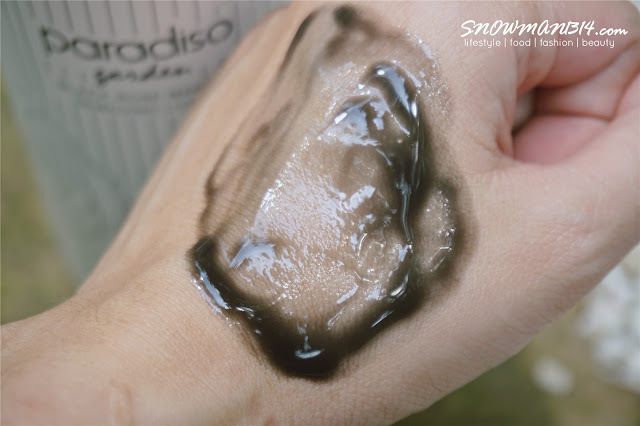 If you happen to have some waterproof products which are difficult to remove which just oil or wipes, Paradiso Garden Black Rose Makeup Removing Lotion can easily do the trick in just 10 seconds. 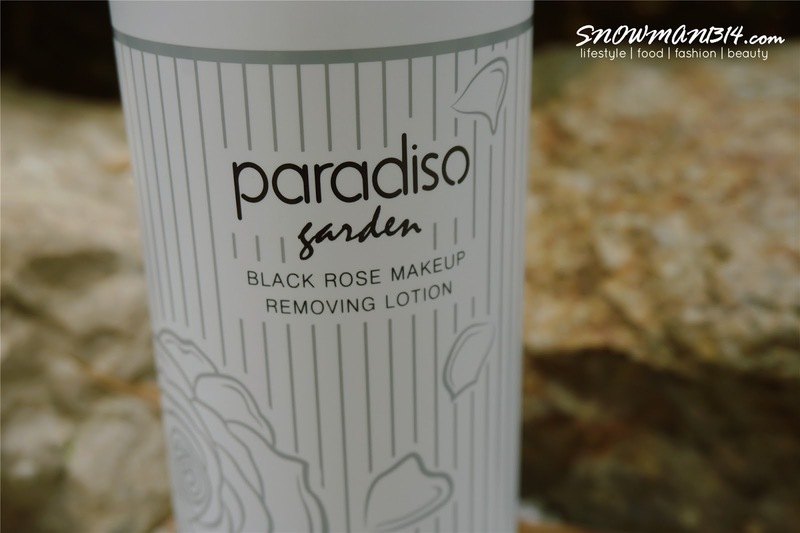 Since Paradiso Garden Black Rose Makeup Removing Lotion is enriched with a high concentration of black rose plants extract and activated carbon, make sure to shake evenly before you used. Pump 2-3 pumps accordingly how thick is your makeup are on your face. 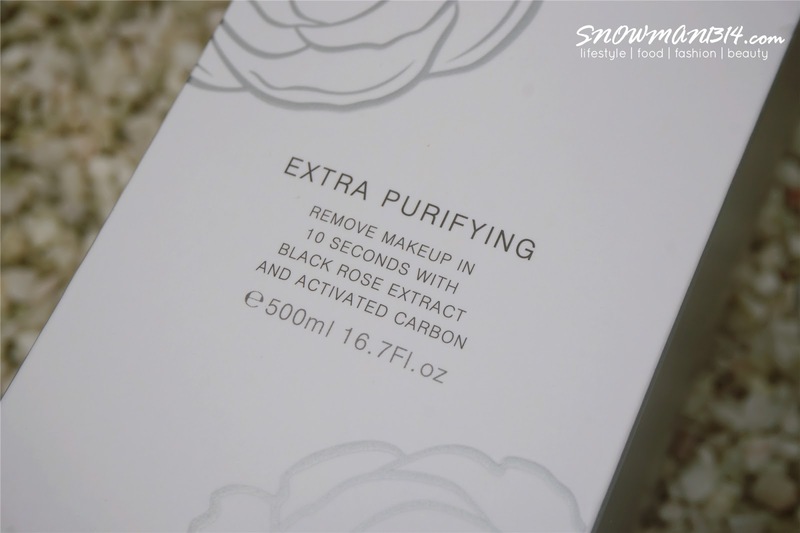 When I first saw it was in black color I was surprised and amazed on how the outcome of the black rose extract in the product texture itself. 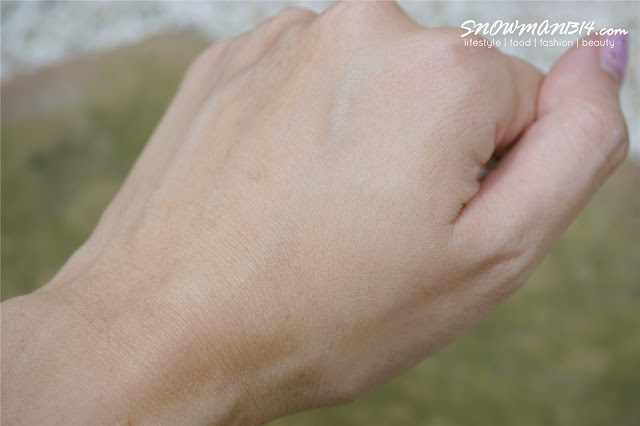 The texture spread easily on my skin and does not stay dry on my skin too. 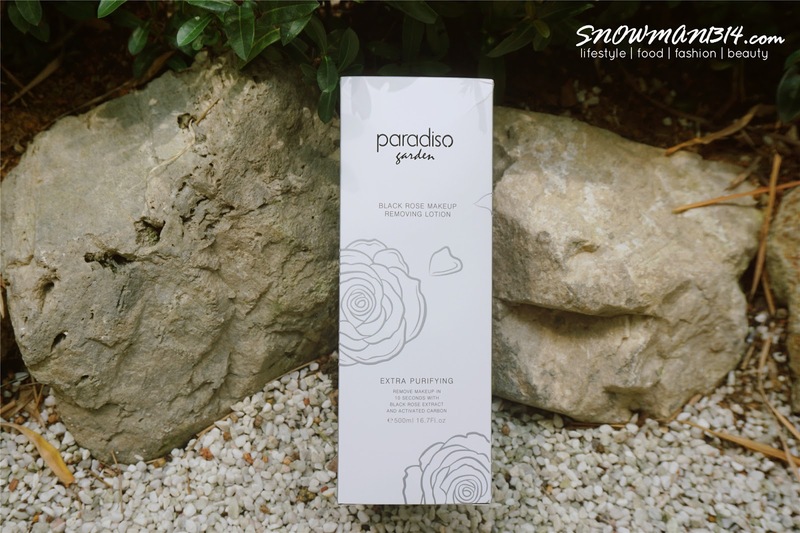 Besides contains the plant extract and activated carbon, Paradiso Garden Black Rose Makeup Removing Lotion also contains organic Moroccan argan oil, babassu oil, and Austral nut oil. After wiping away the essence, I can feel my skin much fairer and smoother too. Black Rose extract helps to reduce dark spots on our skin and also help brighten our skin tone too. Time to remove makeup before the shower. Pump few pumps of the removing lotion on the cotton pad. 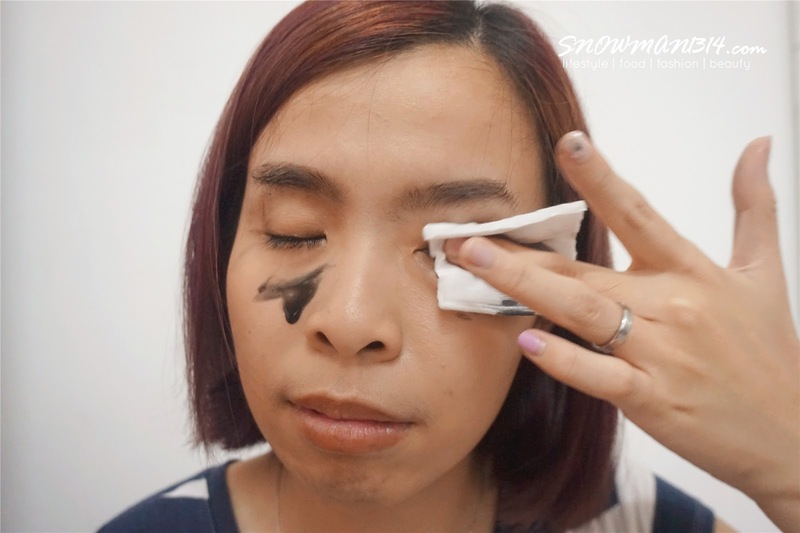 Press and hold the cotton pad on your make up for 10-15 seconds. 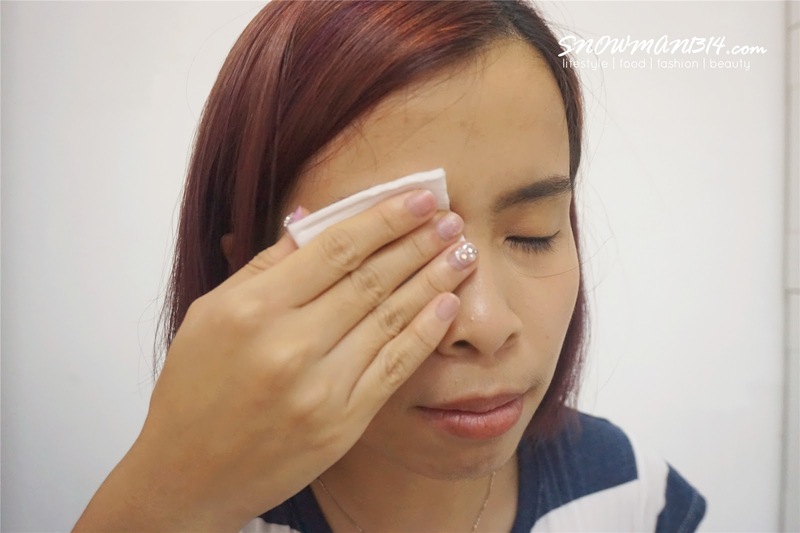 Gently remove the cotton pad and wipe away the makeup. You can gently wipe a few time all around your face that has makeup on. Since I didn't put very thick makeup, therefore you can't see a lot of makeup stain on the cotton pad. However when I wipe away my lip color, the color stain are more obvious on the cotton pad. Unlike using wipes, sometimes it makes my skin feel dry. Even sometimes using makeup oils, you will have to straight away wash away my makeup and I don't really like grease oily feel on my face when I use makeup remover oil. 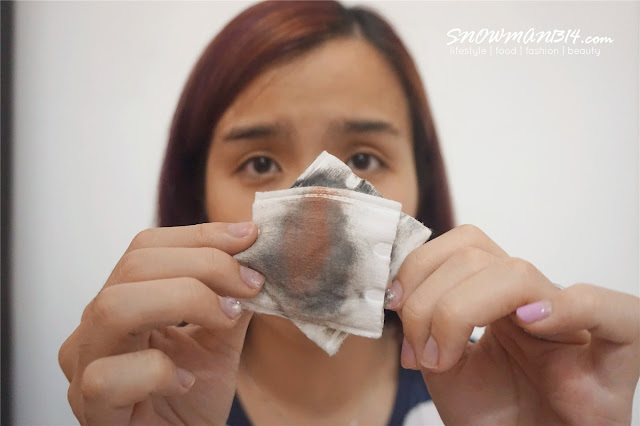 I believe that you girls out there must have encountered all these issues when removing makeup!! 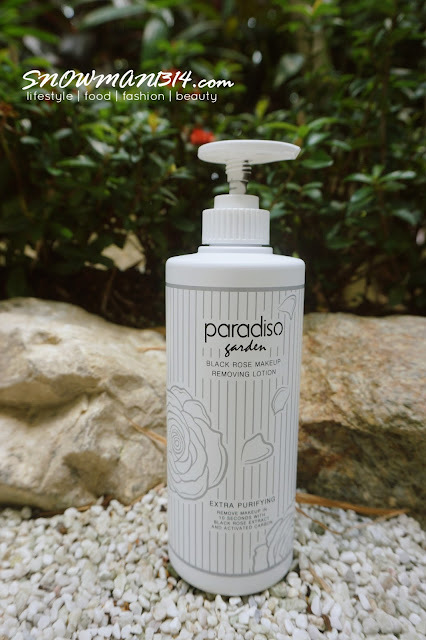 My verdict of using Paradiso Garden Black Rose Makeup Removing Lotion, I can feel my skin super smooth and totally no oily or sticky feeling at all! 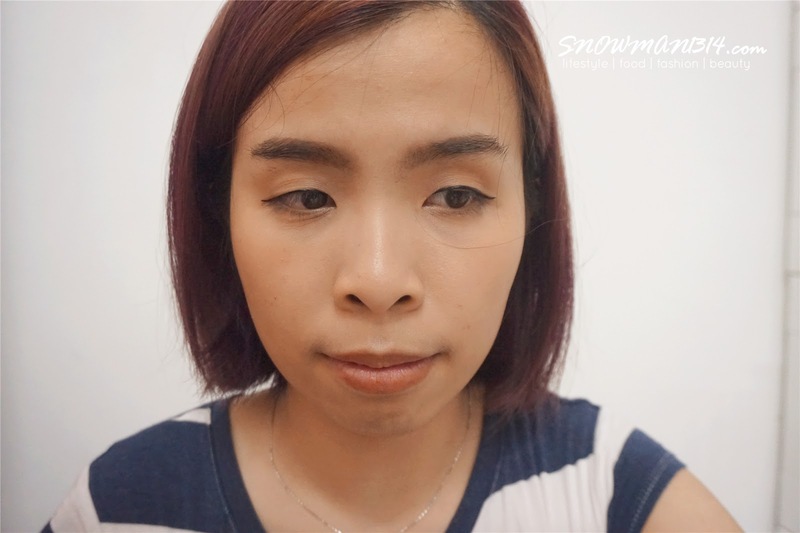 I was surprised on how my face feels like after using their product. I can even feel my skin deep cleansed and moisture too after removing makeup. I even tell my hubby I feel like I don't wanna wash my face but just wanted to sleep straight away on the bed. Check out their video to see how Paradiso Garden Black Rose Makeup Removing Lotion works on removing thick and heavy makeup effortlessly! If you guys interested to get this product, remember to check out this link below!! 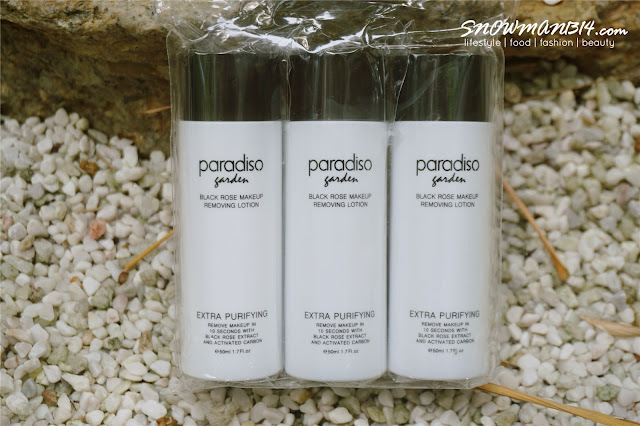 In the meantime, I will also giveaway 3 of this Paradiso Garden Black Rose Makeup Removing Lotion in 50 ml to 3 lucky winners. Once again thanks Hawooo.com for this wonderful product. Do you want to try how powerful and amazing this Paradiso Garden Black Rose Makeup Removing Lotion work on removing your makeup? 1. Simply by just leave a comment down below with your email address and name. 2. Like my page www.facebook.com/snowman1314 for an extra bonus entry! I will announce the 3 lucky winners on the Mid-July 2017. Stay tuned. I have never seen black makeup remover as well. Well, I am not a heavy makeup user, so I'll pass up on this opportunity. Good luck all! Well darling this brand and this product are new for me. But I could like try this product by myself I hope be lucky. Good luck to all entering the contest. And thanks for sharing the info about this product. This is cool! 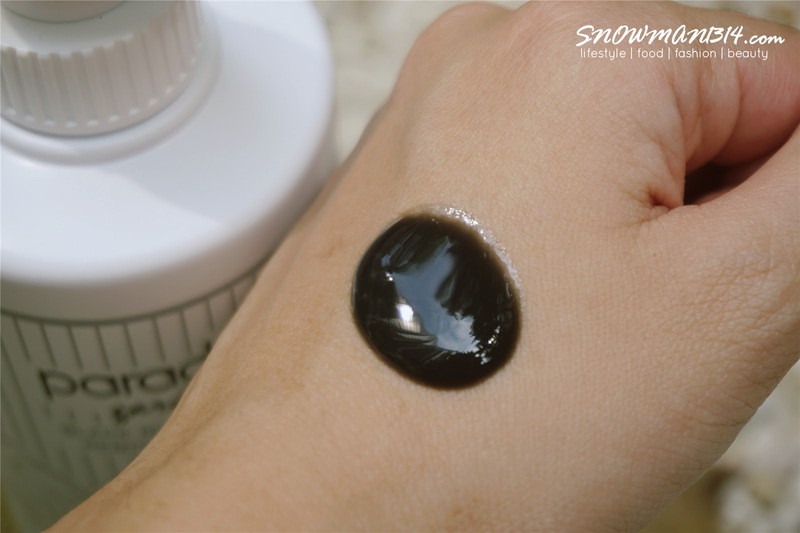 I am currently using the makeup remover from Amthea Korea, but i wish to have this after I emptied my first bottle. Interesting product and the results looks really promising too. My first time get to know about this brand, it looks effective. This seem a good makeup remover . Does it smell nice? I want to owe one of it as I can't find a good makeup remover. Please choose me and my email betliewy@hotmail.com. Like your fanpage too. First time hear about this product.. Looks good, both the product and your review.. Although these accessories are good one, however, I have not yet tried these. Now, I will try to have these accessories in my makeup to see how these go. This is fabulous! Definitely a new product for me, it looks great and effective after read through your review. I really can't bear to try it out, hopefully I'm the lucky girl to win this delightful product. Thanks for having this amazing giveaway, best luck for you in the future! Forget to leave my details. Interesting, I would like to try if it can remove my stubborn peripera lip stain, that's the toughest to remove. Lol. My email rikajue@outlook.my and name Rika. Already liked your Facebook page before. :) Hoping I am lucky. Hi Shanon, I would like to get the Garden Black Rose Makeup Removing Lotion because I am amazed with the video ! It makes me wow when the girl removed her makeup effortless just in 10 seconds ! This is totally amazing and I would like to try it myself :D Thanks for having the giveaway :) BTW, I am Cheryl and this is my email add: thecheryllim@gmail.com.